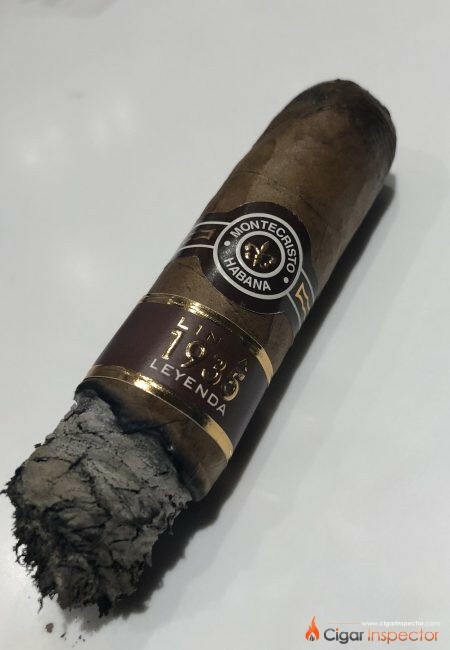 The larger format of Montecristo’s new line has the exact same dimension as the Montecristo 80th Aniversario which was supposed to be released in 2015 but came out last year! As the Maltes and the Dumas, previously reviewed, the Leyenda wears a third band on the foot, a second band below the Marcas’ mentioning the name of the Line, Linea 1935 and the cigar’s name. All cigars from the Linea 1953 come in a box of 20 stogies. The pre draw is perfect, not too loose not too tight, this is already very exciting and promising. As soon as I light the Leyanda the burn is as good as the draw and loads of sweet woody notes to Start. I love the long module as the first flavours a very fresh and soft “almost” cold when they reach the palate. Intensity comes very quickly and the full strength of cigar is already present with a nice woodiness and reach texture. The density of smoke is medium. Some nice touches of earthiness added to the woodiness develop a very good Montecristo flavour profile with a high intensity. Very low acidity, don’t feel that the cigar is young. The flavour complexity shows you this is a great cigar with a massive potential already felt during the first part. Cocoa and roasted coffee bring the Leyenda to sweet flavour profile. During the second part the strength soften a bit. 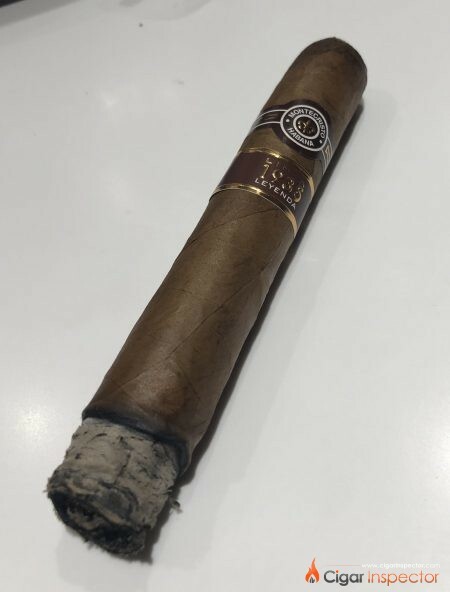 The density of smoke is very high the cigar just keep on bringing flavours reminding you of a great Montecristo with some age. The flavours are very well balanced. At the same time you can enjoy a powerful cigar but yet its development is so smooth that you just appreciate the flavours and don’t feel overwhelmed by strength. The ash is long and strong. Beautiful shape and grey. The combustion is very even, you do not need to light your cigar 10 times during the tasting even if you leave it on the ashtray for 5 minutes you will still have a great combustion. The aroma is great as well. I start realising this Leyenda is my favourite out of the new 1935 lines. So rich and complex. The last third is pretty similar and doesn’t have a massive change. However towards the very end the Montecristo Leyenda starts to be slightly shorter and the palate this is really to pick something a bit negative in this great hour and twenty minute smoke. Also it becomes a bit dry and looses its grassiness and rich flavours and aroma. I enjoyed the three cigars from the Montecristo 1935 Linea, the Dumas, the Maltes and the Leyenda. 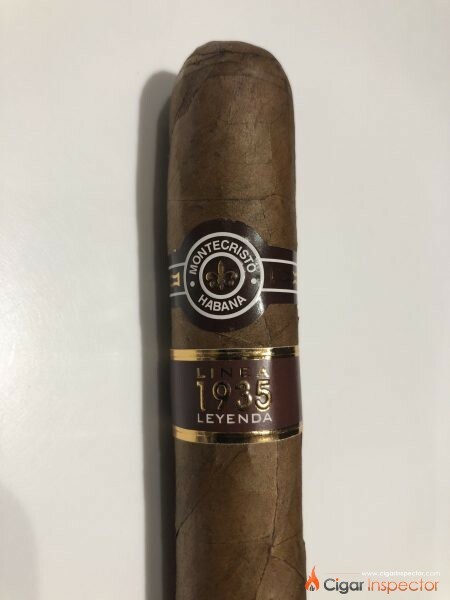 Out of the three, the Leyenda was really an outstanding cigar with a massive potential of development and ageing a great addition to the Montecristo cigars line. Cuba has done a great job. My only issue with this new line is the new look and feel of the box not to my personal taste. I love the authentic wood with details on it.